starting with a healthy & beautiful smile. parts of the tooth structure. We are a relaxed and friendly family dental practice situated on College Hill, Freemans Bay in Auckland City. We proudly offer ethical dental treatment focusing on our clients having healthy teeth and gums. 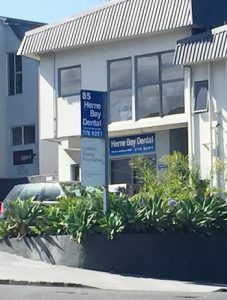 Our practice is located within easy commuting distance to Herne Bay, Ponsonby, Saint Marys Bay, Grey Lynn, Westmere, Pt. Chevalier, Auckland City and the North Shore. We specialize in high quality preventive dentistry and restorative dentistry. We also provide top cosmetic dental treatments. Whatever your dental requirements, we can find an affordable plan for you. There is free assigned parking on site and wheelchair access. We supply genuine Xylitol products at competitive prices, so you can enjoy the sweetness of sugar without the guilt! Watch out for imitations! Contact us now. Because your time is valuable, we make every effort to run on time. One Visit Crown (OVC) available here! The One Visit Crown is an innovative technique created to deliver high quality and more affordable dental crown options. Contact us to find out if you are a good candidate for the OVC. Do you have a dental emergency in any of the following areas? We have a space dedicated for emergencies Monday to Saturday (subject to availability). Call us. We offer affordable prices and comprehensive patient education during preventive procedures. Please refer to our services page. We accept debit cards, Visa, MasterCard, Union Pay, Farmers Card and Q Card. Q Card offers a range of competitive interest-free deals and payment holidays. 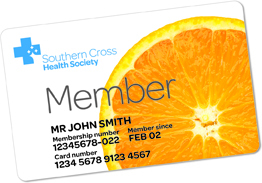 Apply for pre-approval with Q Card today or contact us for more information about our flexible payment plans. 10% discount for students, Goldcard holders and beneficiaries.